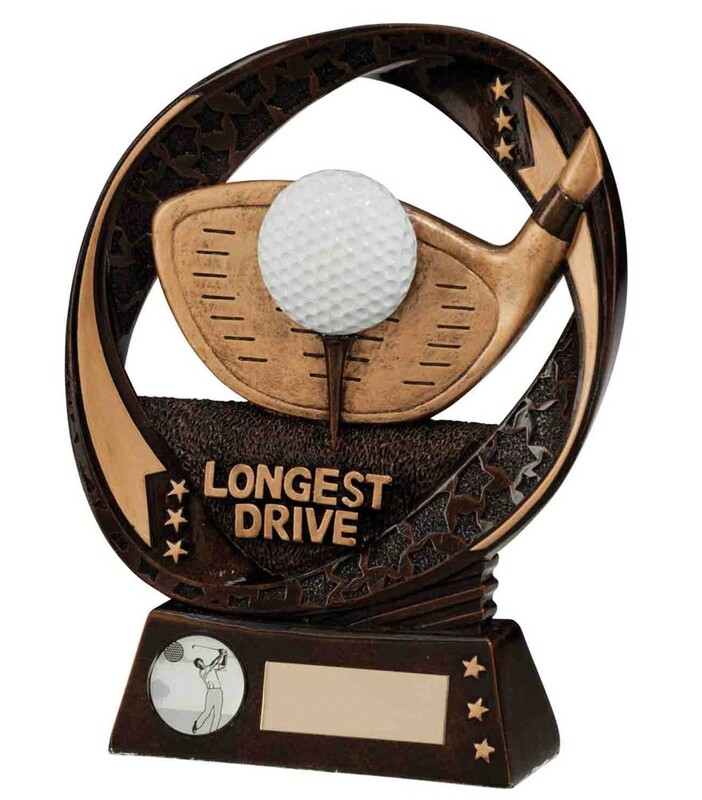 Typhoon Resin Longest Drive Golf Trophies. This popular award measures 170mm high. Resin antique bronze award with gold and white detail.